The United States entered the First World War when it declared war on Germany on 6 April 1917. The government promptly established a Committee on Public Information to coordinate propaganda for the war effort. The committee’s Division of Pictorial Publicity soon began planning to provide the American Expeditionary Force (AEF) with official artists. This was an unprecedented move, inspired by the official war art programs of Britain and France. Never before the First World War had any government sponsored artists to record a war in progress, although newspaper and magazine artists had begun doing so by the mid-1800s. The Division selected eight American artists, all of them experienced illustrators. The US Army commissioned them as captains and assigned them to record the wide-ranging activities of the AEF for posterity, as well as to help shape popular understanding of the war at home. By spring 1918 the artists were in France, busy at work. Both the American and French high commands gave the artists carte blanche to travel where they would in the war zone and to draw whatever they saw. They took full advantage of their freedom to create images of men, machines, and landscapes from the ports of debarkation to the front lines. Ultimately they produced more than 700 sketches, drawings, and paintings. 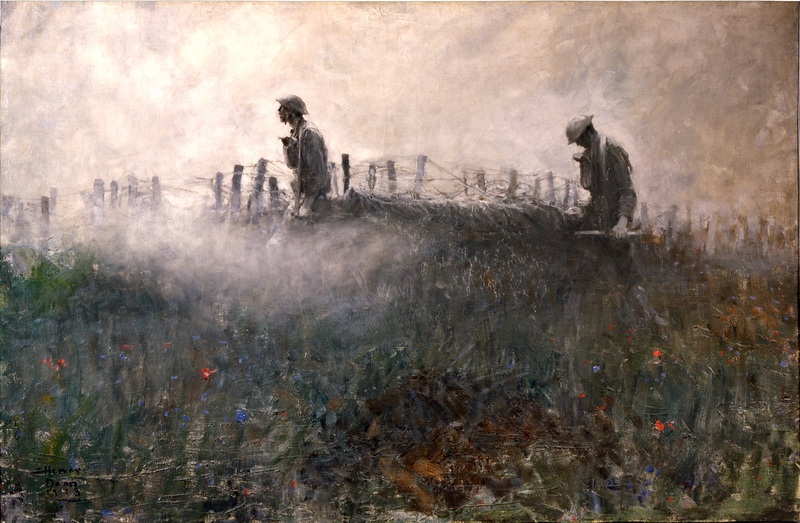 Their work fell into four broad categories: warscapes, which depicted devastated landscapes and damaged buildings, usually with little or no human presence; soldier life and activities, both at work and at rest behind the lines; military technology and engineering, with particular attention to such novelties as tanks, planes, and motor vehicles, as well as the AEF’s logistical underpinnings; and combat. The War Department transferred approximately 500 of the artists’ works to the Smithsonian Institution immediately after the war. They were on display in the National Museum throughout the 1920s, along with a host of other war relics. But since then, most of the art has never left storage. The Division of Armed Forces History in the National Museum of American History now holds this collection of official AEF art from World War I. 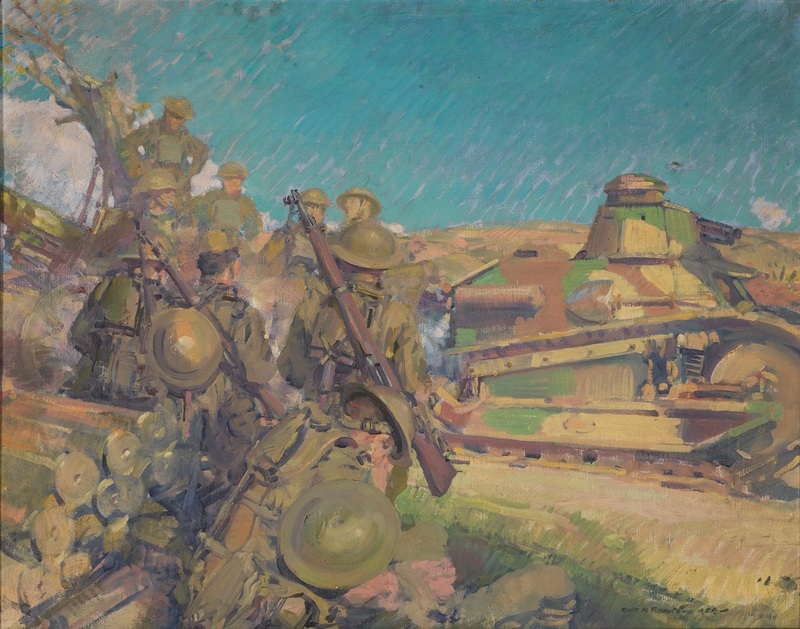 This object group, featuring high-resolution digitized images of the artwork, makes the entire collection available to the public for the first time since it was taken off exhibition in the late 1920’s and allows visitors to see for themselves what World War I was like for the people who experienced it and the artists charged with drawing it.